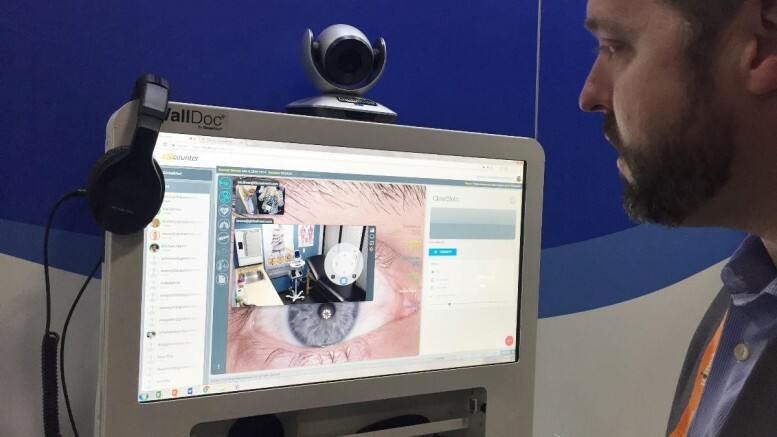 GlobalMed®, an international provider of telehealth solutions whose mission is to make healthcare more accessible, has announced a new healthcare business model that will make telehealth technology more affordable. The company introduced the GlobalMed Cost Simplified Solution at the American Telemedicine Association conference, April 29-May 1 in Chicago, in exhibit booth #202. Under the Cost Simplified Solution, GlobalMed telehealth hardware and software will be available for a flat fee starting at $799 a month. This allows healthcare organizations to enable telemedicine as an operating cost versus traditional capital expenditure purchase models that start at around $42,000. Clinicians may choose the care station that best fits their environment: Transportable Exam Station®, WallDoc® or the new Xpress® Station. GlobalMed supplies the station and diagnostic devices which enable evidence-based virtual visits. In addition to telehealth hardware and software, GlobalMed’s Cost Simplified Solution includes installation, training, IT, maintenance and warranties for one low monthly price after an initial activation fee based on requirements. GlobalMed hardware comes fully integrated with their HIPAA-compliant eNcounter® telehealth software. Customizable to clinicians’ workflows, eNcounter can store and forward sensitive patient data to facilitate evidence-based diagnosis and compliance.